Who's standing in the May 2017 North Yorkshire County Council election? A full results service will be available on our websites and social media channels on May 5. 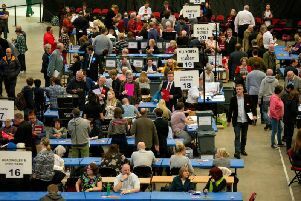 All 15 divisions of the county in Harrogate, Knaresborough, Nidderdale and Ripon will be contested by all the main parties, with councillors elected for the next four years. Here are the candidates for the election, which will take place on Thursday, May 4, 2017. In order to vote, you must be registered by midnight tonight, Thursday, April 13.